The Counter-Terrorism and Border Security Bill is currently being debated in the House of Lords. Index is very concerned about the bill’s impacts on freedom of expression. Index is disappointed by the lacklustre engagement by most peers in the debate and the unwillingness of the House of Lords to challenge the bill. While there has been little progress in the House of Lords when it comes to protecting freedom of expression in the bill, a proposed new amendment by Lord Anderson deserves support. The former Independent Reviewer of Terrorism Legislation, together with Baroness Manningham-Buller and Lords Judge and Paddick, is proposing an annual review of the list of proscribed (terrorist) organisations. There are currently 88 proscribed organisations, including 14 in Northern Ireland. Most have been proscribed under the Terrorism Act 2000. Proscribing an organisation has severe consequences, including ones related to freedom of expression. It is a crime to belong to – or claim that you belong to – a proscribed organisation, to invite support for a proscribed organisation or to wear clothes or carry or display articles in public in such a way or in such circumstances as to arouse reasonable suspicion that you are a member or supporter of a proscribed organisation. The Counter-Terrorism and Border Security Bill aims to create new offences related to proscribed organisations with further restrictions on freedom of expression. For example, it would become an offence to make a statement that is “supportive” of a proscribed organisation if you do so in a way that is reckless as to whether another person is encouraged to support a proscribed organisation (Index opposes this clause). However, the Home Office has told Lord Anderson that at least 14 proscribed organisations do not meet the conditions for proscription, because they are not “concerned in terrorism”. An organisation that wishes to be deproscribed must apply to the Home Secretary. It is the only way for an organisation to be removed from the list. Three organisations have been deproscribed: the Peoples’ Mujaheddin of Iran in 2008, the International Sikh Youth Federation in 2016 and Hezb-e Islami Gulbuddin in 2017. The high legal costs involved, especially if it involves appealing a decision to refuse deproscription, are likely to be a significant deterrent. During debate on the Counter-Terrorism and Border Security Bill Lord Anderson offered the case of the Irish women’s organisation Cumann na mBan as an example, pointing out that it was once aligned with the Irish Republican Army and remains proscribed despite no evidence that the organisation has been concerned in terrorism during this century at least. Because of the far-reaching implications of proscription, including the restrictions related to freedom of expression, organisations that do not meet the conditions for proscription should not remain on the list. The amendment proposed by Lord Anderson (amendment 59) would require the Secretary of State to review each proscribed organisation at least once every year, including determining if the organisation satisfies the conditions for proscription, publish each decision and report to Parliament. Index urges members of the House of Lords to support this amendment. 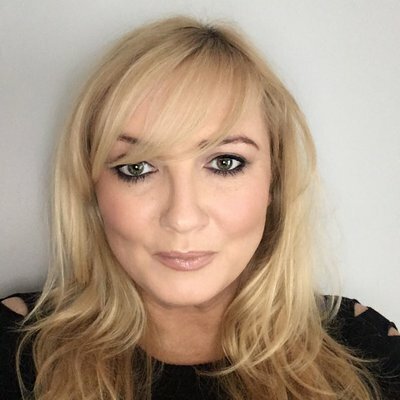 Belfast-based Irish News security correspondent Allison Morris told Index on Censorship her concerns about the Counter-Terrorism and Border Security Bill in its current form.